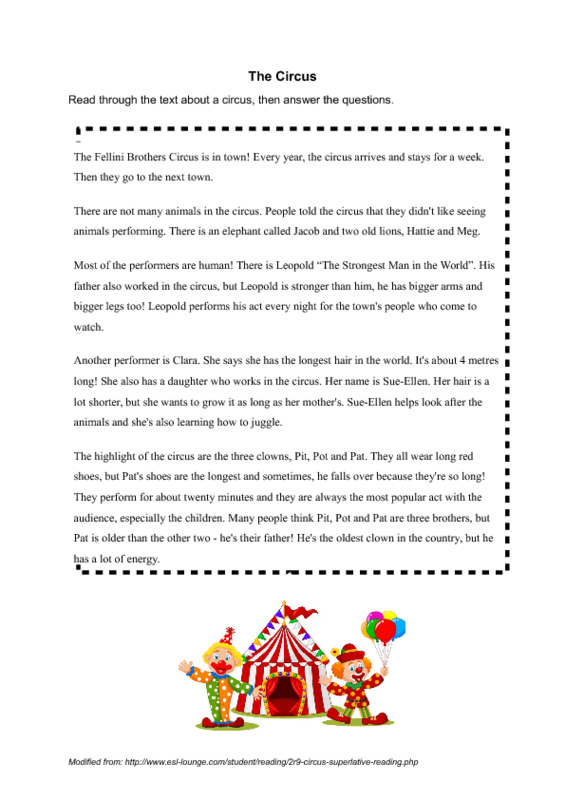 The circus story has been modified slightly from the original text (source incl.) to suit beginner level students. 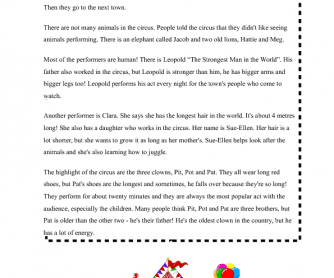 Students read the story and then answer the multiple choice or true/false questions about the text. The questions probe basic comprehension and understanding of comparative and superlative adjectives.